Evelyn Jephson Cameron, a British-born beauty, came to Montana on her honeymoon in 1899. She and her naturalist husband, Ewen, loved the primitive beauty of the area. 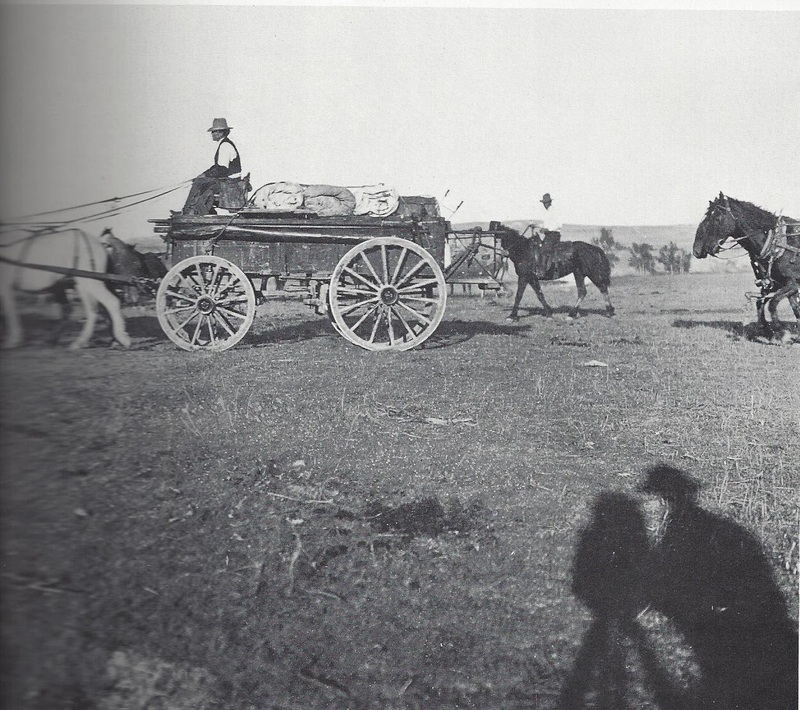 They soon returned and settled on a ranch near Terry, Montana. Over the years, Evelyn produced an outstanding photographic record of the state's early days. She was already an accomplished photographer, and the couple built a dark room in their log home. 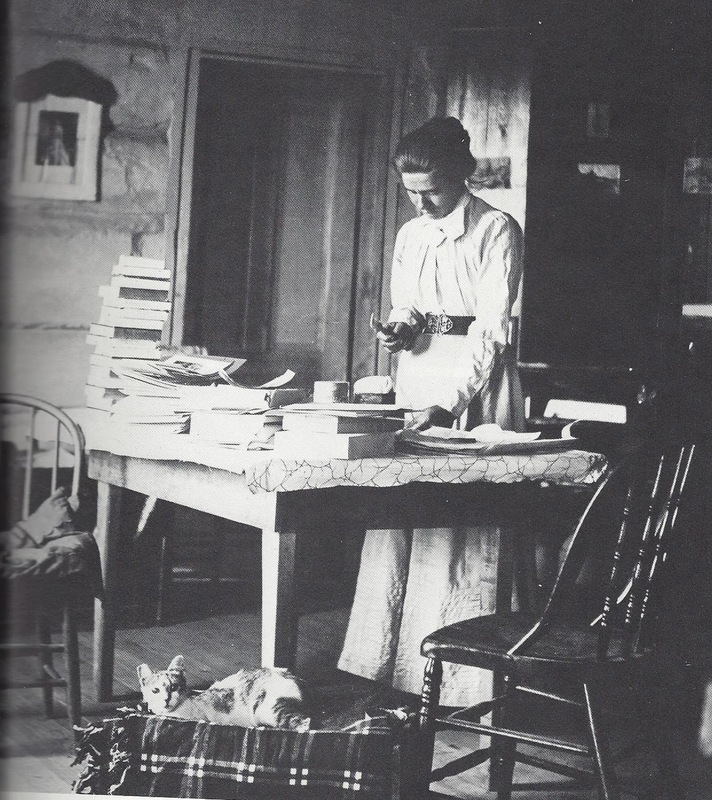 In this picture, Evelyn examines a batch of her photographs. Their neighbors called her Lady Cameron, because of her genteel manners and British accent. She lugged her bulky camera equipment around the countryside as the chronicled her beloved state. One thing she was proud of was being known as the first woman in all of Montana to ride her horse astride, wearing a split skirt, instead of using a sidesaddle. 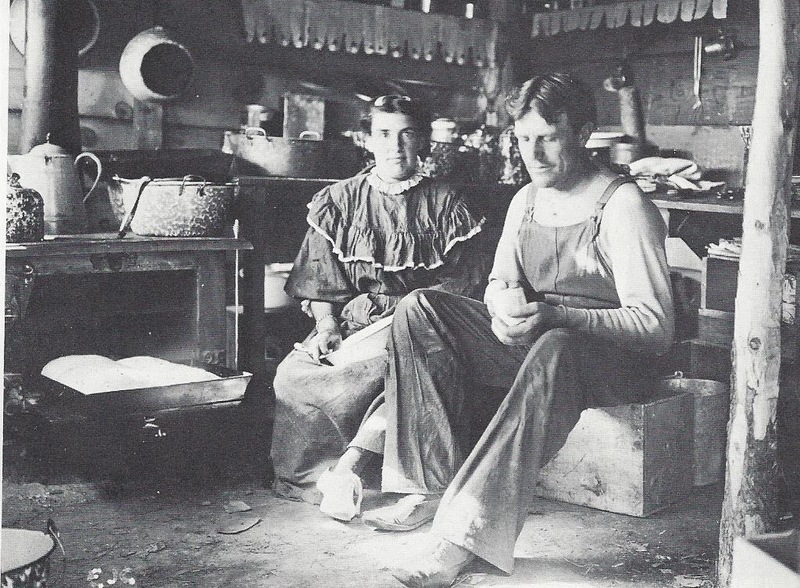 A young Montana couple finds refuge from the harsh Montana winter in their snug kitchen. 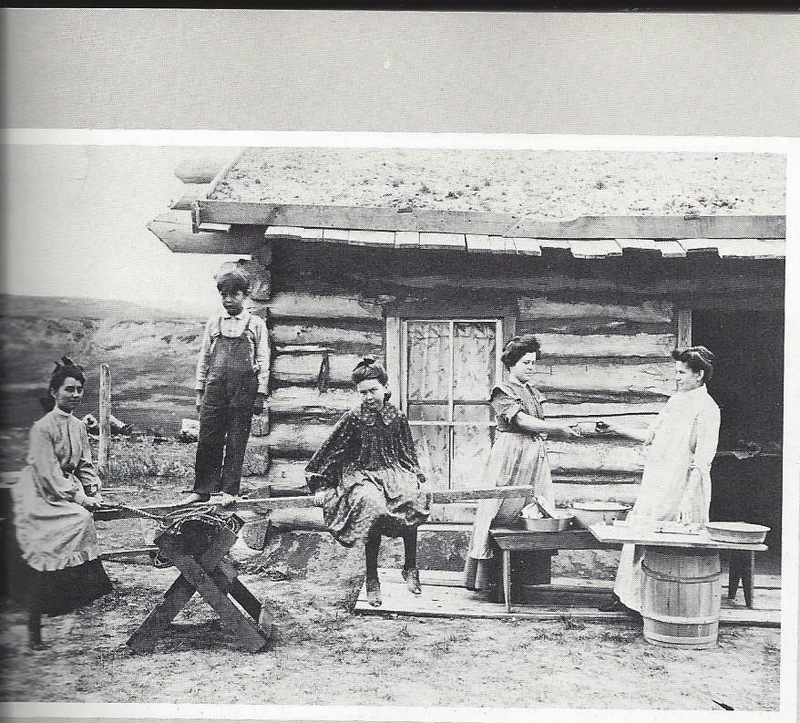 A farm family is preparing a meal for their field hands. On a bright sunny day, Mrs. Cameron captured a heavily laden chuck wagon. She also captured her own shadow, maybe even intentionally. Evelyn and her husband had two pet wolves that she often photographed with him with the vast mountains and plains behind them. As a writer, I'm thankful for people like this woman, who preserved this era for posterity in photographs. I love perusing historical photographs wherever I can find them. One of my aunts collected family history information, and photographs of my mother's family. And my brother has a collection of family historical photos from our father's side of the family. He's scanned many of them and sent the files to me. Do you have a collection of historical photos from your family's history? How have you used them? All three books of my McKenna's Daughters Series are available now. Maggie's Journey was awarded the BRMCRC Selah Award for Historical Novel. Mary's Blessing was a Selah Award finalist for Historical Romance. And I received word this week that Catherine's Pursuit is a NTRWA Carolyn Reader's Choice Award Finalist for this year. The winner will be announced in a month or two. I know, Tamara, I wish we had more from my family, too. I bet this lady would have been able to tell some interesting stories about all the places and things she photographed. I loved these stories of adventurous pioneer women who helped make history. My dad was a photographer in the navy and took lots of pictures of my sister and I when we were small. I don't have hardly any of my parents when they were young though. Wish I did. Thanks for dropping by, Vickie. I have a few from my father's family, but not many from my mother's or my stepmom. My mother died when I was seven years old, and my father remarried when I was eight. Congrats on Catherine being a finalist for that award! I'll keep y'all in my prayers! My mom took most of my grandparents' photo albums after they passed away and had helped my grandma label their backs as best as possible with correct names/years/ages. I've got copies of some of them in frames. I rec'd a few from my dad's side of the family, but my Mimi & Aunt Edna weren't very good about keeping old pics around, much less writing info on their backs!